Skate skiing on cross country skis. Race organizers decided to cancel the Great Ski Race Cross Country race due to lack of snow. 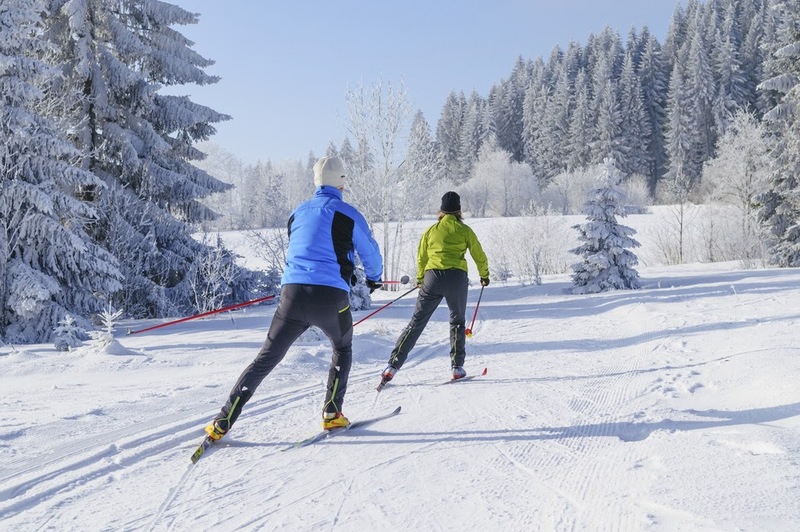 The 30 kilometer ski race has a 38 year history with only two prior cancellations. The most recent cancellation was in 2012 when the snowpack was equally light. The other cancellation came in the 80’s due to lack of snow. The Great Ski Race is a historic point-to-point ski race that begins in Tahoe City and ends at the Cottonwood Restaurant in Truckee. The race is a big fundraiser for the Tahoe Nordic Search and Rescue Team. The decision to cancel the race was difficult, but anything less than a “great” course was unacceptable to organizers. A change of venue to Royal Gorge was considered, but organizers decided against that idea. Last year the event had 750 registered entrants. The race was scheduled for March 2, 2014.